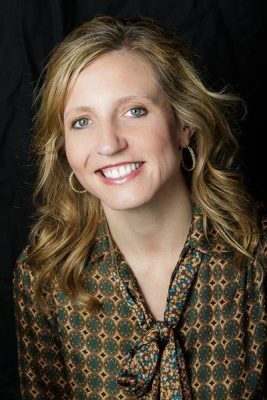 Michelle Kerr, 43, immigrated to America as a child, founded her consulting firm at 25 and now oversees 200 employees throughout the United States and Europe. A longtime Wardrobe Therapy client, she eventually joined the team as a business partner. As Wardrobe Therapy celebrates its 10th birthday this year, Kristy Eckert talks with Kerr about business, parenting, Paris, and leather pants. 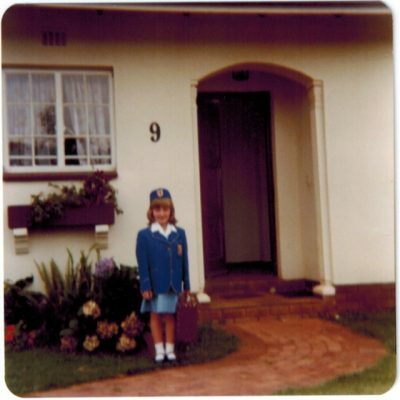 Michelle’s first day of school in South Africa, where she spent her early years. Q: Your family came to America from South Africa when you were 8 years old. How has that impacted you? A: We had pretty much nothing. We came with $10,000 and eight suitcases, and that’s all we had. I appreciate so much the opportunity I have to live in this country, and I’ve never wanted to let my parents down. They left their family, their friends and everything they had to give me this opportunity. I’ve never taken that opportunity for granted. Michelle with her family in South Africa before her parents immigrated to the United States. Q: After college, you worked for Procter & Gamble for a few years before founding Lightwell, a global IT consulting firm based in Columbus. What inspired your leap? A: I had a great job at Procter & Gamble. I really enjoyed my first role there. 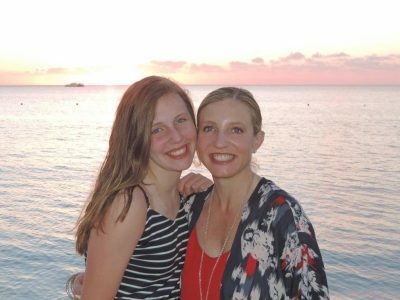 I worked for a small team for one of the highest-ranking woman at P&G, so it was a great way to get exposure to her. I had the opportunity to travel the world. But I was then put on another team, in a building in the middle of nowhere, and I really came to the realization that if I didn’t come to work for a month, it wasn’t really going to make a difference. I wanted to do something that was meaningful. Someone had contacted me and said they had a three-month contract opportunity. They wanted someone who had an understanding of systems and a financial background. So I quit my job and moved to Indianapolis for a three-month contract. I felt like I was 25 and what’s the worst thing that could happen? The best time to start a business is when you’re young and you have nothing to lose. “This was pretty much my uniform for years,” says Michelle, shown here in 2003 hosting clients at the Mercedes museum in Germany. Q: You work in a particularly male-dominated industry. What are some hurdles you’ve faced as a female executive? A: I think as we age, and certainly coming from living in the worldly view now I don’t see it as much. But when I started the company, I was primarily selling into automotive in Detroit. It was incredibly difficult. You really try to behave like a man. I dressed like a man: I always wore pantsuits. I always had my hair pulled back. I didn’t wear makeup. I was very serious about things. My perception was the only way to be taken seriously was to act like a man. The reality is that’s really impossible to do, and I realize that now. Now I try to use the gifts that I think women have to my advantage. Q: What’s been your proudest moment in business? A: Boy, there’s so many good things. I think it was two years ago, when I was actually honored by the Small Business Association as the Small Business Person of The Year in the Great Lakes Region. I had the opportunity to go to Washington, D.C. and accept the award there. It was a really emotional experience. Q: Proudest moment in life in general? A: Having my daughter and seeing her grow up and just being a great young lady. She’s 14. Michelle with her daughter, Hannah. Q: And what do your parents think of you now? A: I think they think what I’ve accomplished is pretty fantastic. I’ve been able to help support my parents for a long time, and I’ve always wanted to make them proud and make sure they knew I appreciated that opportunity. Leaving their family and their friends and their jobs was worth it—I want them to see that. Q: OK, let’s talk fashion. How did you meet Elizabeth? A: I was at the NAWBO Visionary Awards, and Elizabeth was there standing with my friend. I came up to my friend and said, “Oh my gosh, you look so beautiful. It always agonizes me to dress for these things because it makes me so nervous.” She said, “You should talk to Elizabeth, because she helps me put things like this together and I don’t have that agony anymore.” I was going on a trip to Napa Valley, so I called Elizabeth and just said, “Hey, I’m going on this trip. I don’t even have time for shopping. Could you possibly help put me together?” She dropped everything to come help me, and I just couldn’t believe that she was able to do so much with the clothing I had. It was so nice of getting to go and feel confident. And you’re always thinking, “There’s other women. Am I going to look as good as they do?” I kind of got addicted. Whether it was public speaking or I had to give a big client presentation, I just felt so much more confident about the way I looked thanks to Wardrobe Therapy’s help. 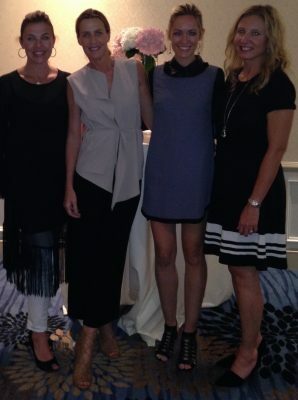 Elizabeth, India Hicks, Christy and Michelle at a private event for India Hicks. Q: How had your style evolved with Wardrobe Therapy’s help? A: One of the things I appreciated most about Elizabeth is when I started working with her, I still thought I needed to look like what a corporate executive “should” look like. She really shattered that for me and made me confident that I could wear other things. I could wear dresses and could dress edgier than I thought. 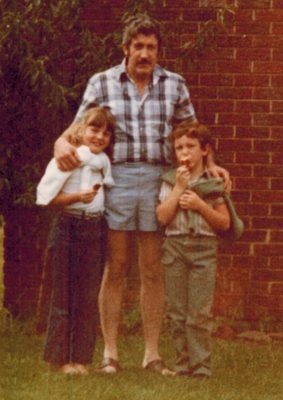 I used to dress very safely. Two years ago, if you would have said to me, “You’re going to love your leather pants,” I would have said, “That’s the most ridiculous thing I’ve ever heard.” Now, I love my leather pants! Q: What compelled you to eventually join as a business partner? Q: What city’s style most inspires you? A: Oh, Paris. I mean, nothing touches Paris. You could just sit for hours and watch people. It’s just amazing. 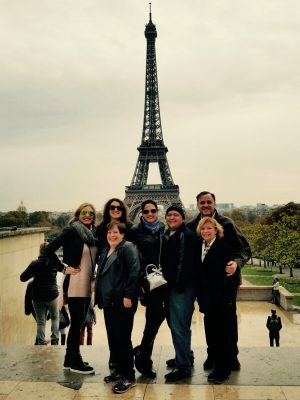 Michelle, far left, in Paris. Q: Any favorite designers or lines? A: I like Alice and Olivia. I like Free People. Malene Birger. I’m just kind of all over. Chloe—I’m obsessed with Chloe shoes. I’m obsessed with Rachel Zoe. Q: Who is your most admired woman in Columbus? A: There’s so many great ones to choose from. Probably one of the women I admire the most is Tanny Crane. She doesn’t seek the limelight, but she’s quietly working and advocating so hard and really is just such a great steward of her family’s company as well as her own money personally. There have been times when I have difficult decisions to make where I’ve reached out to her and said, “Hey, can I take you to lunch?” I just love her advice on things. I truly have a lot of respect for her and the passion she brings to everything she does. A: When people quickly say, “We can’t do that.” In fact, I feel so strongly about it that’s one of our core values as Lightwell: We ask, Why not? “We can’t” is just never acceptable. A: From a big-picture perspective, my dream is to continue to grow and build a business that is beyond me so that once I leave the business there is still a business that continues to run and thrive and be successful. And then personally I want my daughter to grow up and be a productive citizen in this world. That’s one of the things that’s always been a focus with her: making sure she’s not just a citizen of Powell, Ohio or Columbus, Ohio or the United States. She is a citizen of the world. She is blessed to live the life she leads, and I want to make sure she uses her gifts for the good of all mankind. 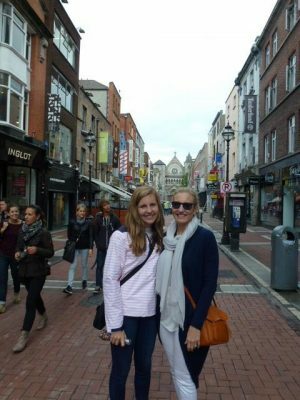 Michelle and Hannah in Dublin, Ireland.